We just learned about the Induced Seismicity. 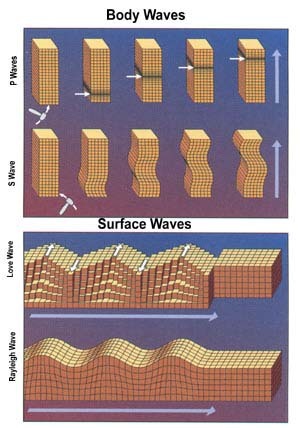 When earthquakes happen, the waves of energy that happen as the ground moves are called Seismic Waves. It's kind of like looking at a wave in water, and based on the size and shape of a wave scientists can learn about the type of earthquake it is.